Smart Cities, a Central Government project to develop cities with smart tools and technology to manage its route and day-to-day work online. Total 20 cities have been identified to be developed as SMART CITIES. Projects pertaining to various work have been identified to make them automated for the benefit of Municipal departments as well as citizens to access services and make ease of line. We are presenting solutions for Telematics solutions, market development, Video Analytics and others. We request you to kindly visit our Booth no # C71; we will be eagerly waiting for your visit. 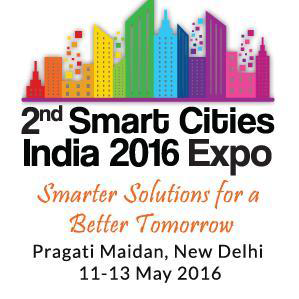 We are looking forward to meet you at our Booth no # C71, 2nd SMART CITIES Expo, 2016.